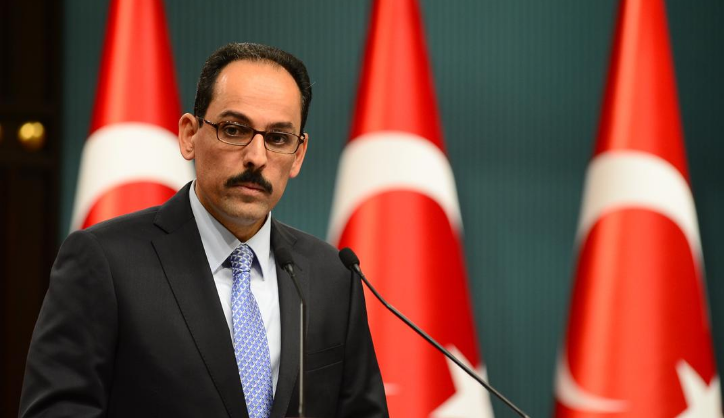 Turkish spokesman: “The natural resources that are found in the Mediterranean must be exploited equally”! “Tomorrow we will have a dense agenda such as bilateral trade relations, developments in the Aegean, energy, TAP, Turkish Stream, the ‘Turkish’ minority in western Thrace, the minority of Greeks living in Turkey, and the issues related with these. The Aegean, the Mediterranean, the continental shelf, the islands. The statements made by Mr Tsipras at the Anadolu agency before he comes, make us happy. This shows that they have good and positive intent. In the Aegean, Cyprus, the Black Sea, Turkey will continue to defend its sovereign rights with the same determination. We will not allow any ‘fait accompli’ in the eastern Mediterranean, from wherever it comes. In order for the Mediterranean to become a sea of peace, the natural resources that are found must be exploited equally”. Turkey refers to the Muslim minority of Thrace in Greece as “Turkish”, regardless of the fact that only a fraction of them is of Turkish origin.